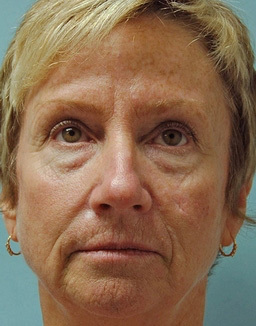 This is a wonderful and energetic lady who in her fifties began seeking improvement in her appearance. She was concerned with her tired and sad appearing eyes and the developing laxity in her lower face. Additionally, she had a scar on her left cheek that she wanted removed and the quality of her skin was a concern as well; indeed, she had spent a great deal of time in the sun. During our consultation we discussed a deep plane mini-lift that would address her lower facial laxity. Her neck was not a concern to her and the small amount of laxity that was there would be improved by the lift. 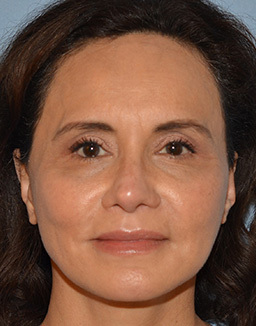 We discussed performing a lower blepharoplasty (bleph-a-row-plas-tea) with fat repositioning and supplementing the hollowness in her cheeks and eye area through fat augmentation. After performing these procedures, I would revise her left cheek scar and then use a fractional CO2 laser to improve the quality of her skin. 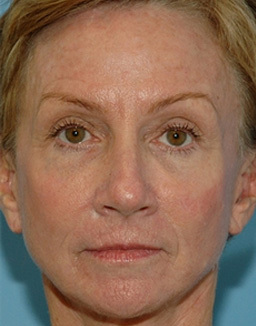 Although the fractional CO2 laser is not as effective as the full CO2 laser for deep lines and wrinkles, it does a remarkable job at improving the overall quality of the skin, and the reduced downtime fit well with her active lifestyle. 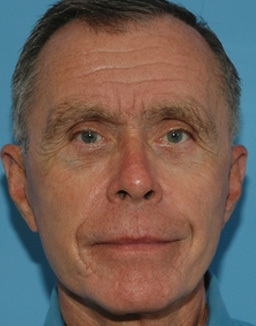 The results illustrate the benefit of combining procedures to achieve a refreshed look. She no longer has a tired, worn out appearance and her facial shape is more youthful, with the cheek scar virtually non-existent. 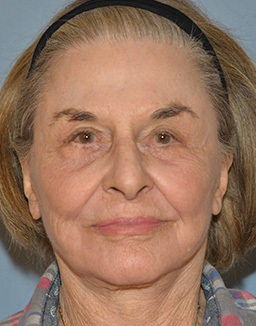 If you look at the photos again you may notice that with the “before” photo your eyes scan initially to her eyelid bags, then perhaps to the quality of her skin or her left cheek scar, which is in contrast to what you initially look at first on her “after” photos—to her eyes first, then the rest of her facial features—this is the goal of aesthetic surgery.